A nine-year-old shouldn't be dragged from her house by someone who hates her. Nor be forced to hear the language of the unloved. Nor be jiggled in the laps of perverts. A nine-year-old shouldn't be told, "We'll take you home now, but we'll be back. We're right outside your window." I actually put four sentences instead of two, but whatever. 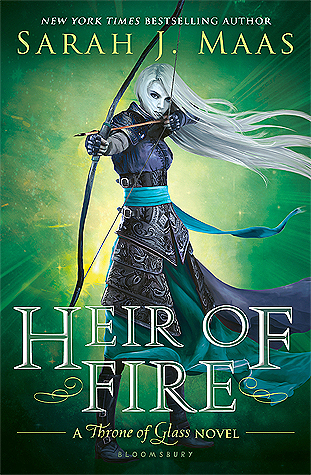 I'm reading this book for my book club, and although I usually prefer YA fiction over adult fiction, I am enjoying this book. Not a love, but it keeps me entertained. 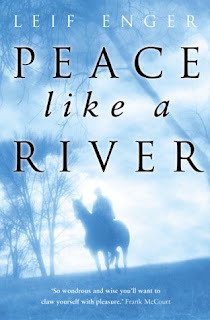 Despite that quote I just posted from the book, Peace Like a River is actually not a horror story or even scary at all. It's more of a Christian story about family and trusting in the Lord.